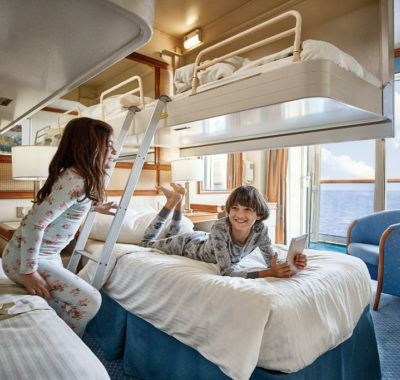 Genting Dream is The Newest Family-Friendly Cruise Your Kids Will Love! 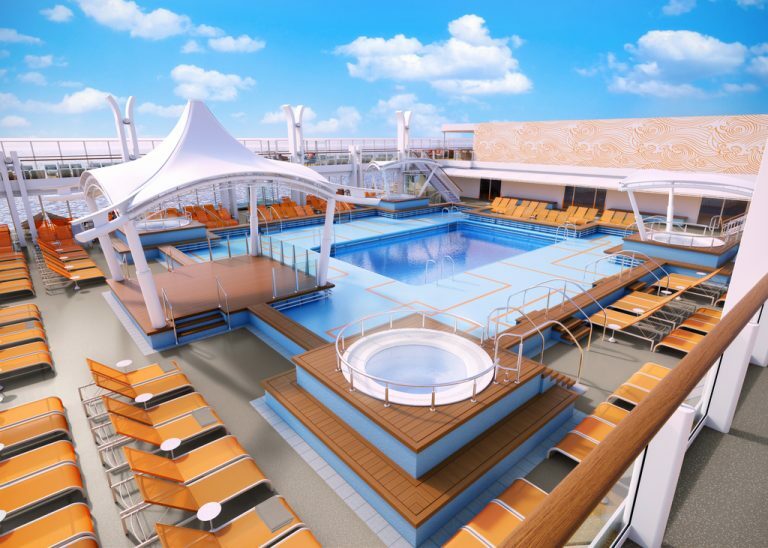 Genting Dream is The Newest Family-Friendly Cruise that Your Kids Will Love! The official launch ceremony of Genting Dream, Dream Cruises’ inaugural cruise ship, took place here in Singapore yesterday. So what does the cruise liner have in store for families with children? Here’s the scoop! Thinking of sailing somewhere with the kids aboard a swanky cruise ship this school holidays instead of the regular land tours? 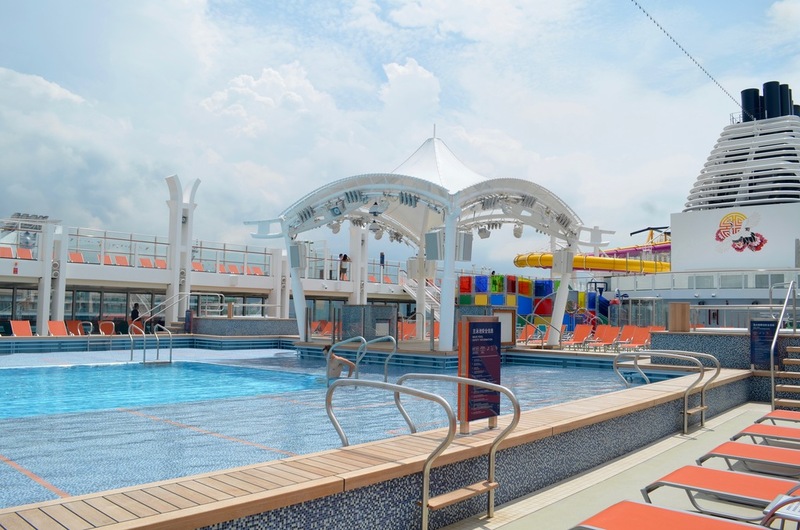 Genting Dream, one of the largest and most spacious cruise liners in Asia is the new kid on the block that promises fun at sea for the whole family. I was treated to a tour of the 18-deck ship which can accommodate up to 3,400 guests at the official launch ceremony at Marina Bay Cruise Centre yesterday. Here’s what families with kids can look forward to when they get onboard the Genting Dream where the finest Asian hospitality awaits! Will You Stay in a Stateroom, Suite or Penthouse? First things first, let’s talk about accommodation. 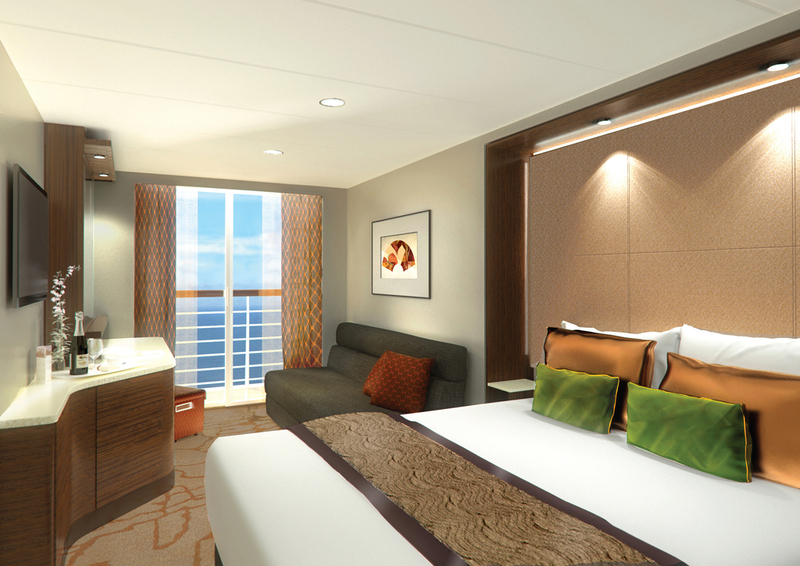 Over 70 percent of the Staterooms (above) on Genting Dream feature private balconies, and there are also over 100 connecting rooms which I think will be perfect for extended families who are holidaying together. Accommodation choices start from the Inside Stateroom which is compactly sized at 14 sqm. and can be occupied by up to three people. What’s the cream of the crop, you ask? The Garden Penthouse! It’s sprawling at 224 sqm. and accommodates up to four people – perfect for two adults and two kids! There are also suites which can hold up to four people to choose from. There’s the Dream Suite, Palace Suite, Dream Deluxe Suite and Dream Executive Suite. Stay in one of these lavish suites and be spoilt silly by the European style butler service (you’re on holiday afterall)! 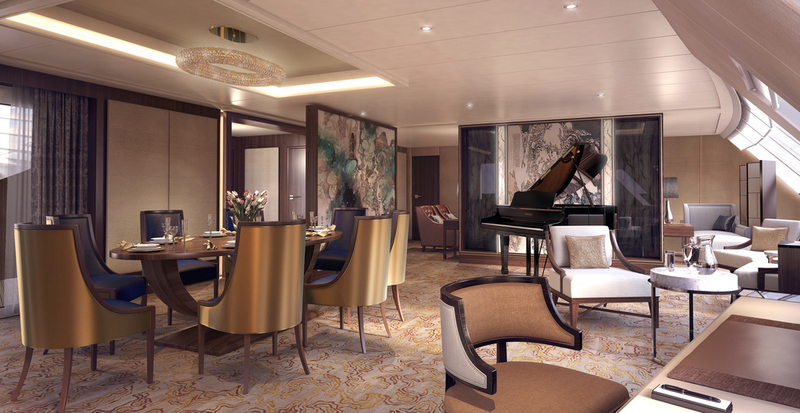 You will also get priority reservations for restaurants, spa treatments and entertainment (the kids won’t be disappointed), a dedicated private outdoor deck and pool, replenishable bottle of wine and gourmet tea and coffee when you book a suite on Genting Dream. Oh, and the kids will receive a welcome gift! Amenities in all rooms include luxury bath products (Salvatore Ferragamo for staterooms and Etro for suites and above), Frette fine bedding, flat-panel television and complimentary tea & coffee. Have I mentioned that you get to choose from a pillow and duvet menu before checking in? 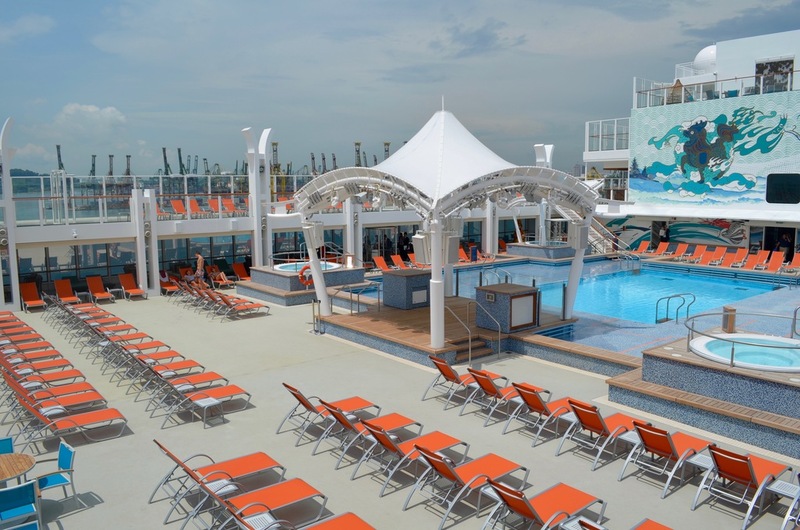 Yes, Dream Cruises takes sleep very seriously. With a choice of cotton, satin, down or feathers, you will be sure to find that perfect pillow for a good night’s rest. Rest assured, the kiddos won’t be tossing and turning after a day of fun under the sun. Have Some Family Fun with Genting Dream’s Outdoor Activities! It won’t be long before the kids complain of boredom no matter how spacious your penthouse is. So take them out for some sporty fun! As far as I’m concerned, the highlight on Genting Dream is the Waterslide Park (above). If your kids are thrill-seekers, you have got to let them take the plunge and race through the water high above the ocean! There are six slides ranging from gentler ones for the faint-hearted and the wildest reserved for daredevil adults. Unfortunately, only one water slide is child-friendly while the remaining five gravity defying ones are meant for the grownups. 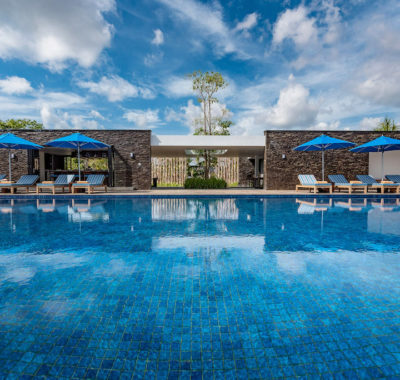 But hey, the kids can still have a splashing good time at the deck pool (below)! 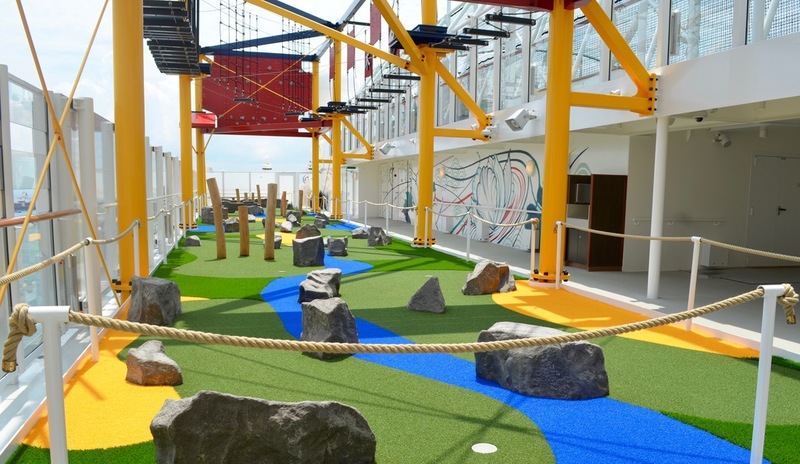 On Deck 18, you’ll find several child-friendly outdoor activities which also serve as photo opportunities. 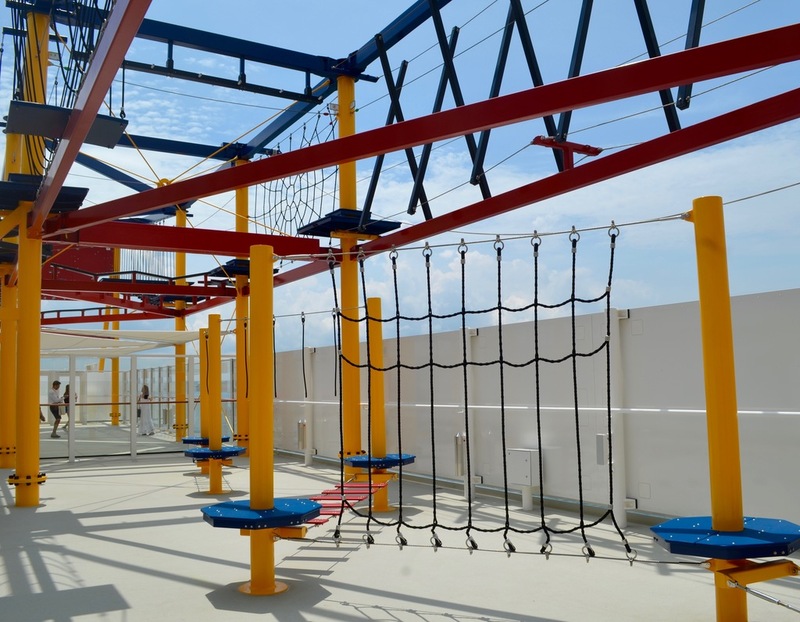 Let junior test his agility on the Ropes Course or have a go at rock climbing! The rock climbing wall is about 24 feet high, just the right height for older kids with lots of energy to spare. When the kids are done with those, how about some mini golf (below)? The nine-hole putting course promises fun for the whole family! Just a level above on Deck 19, is the Sportsplex. Kids who love ball sports are sure to have a ball of a time (pun intended) here. They can choose from basketball, volleyball or five-a-side football! 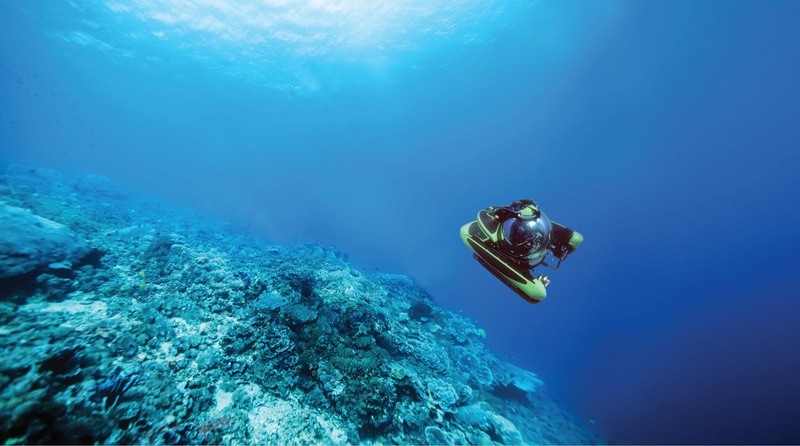 Go On a Journey of Underwater Discovery in a Submersible! If your children are marine life enthusiasts, here’s your chance to give them an experience of a lifetime. Take them on a submersible! 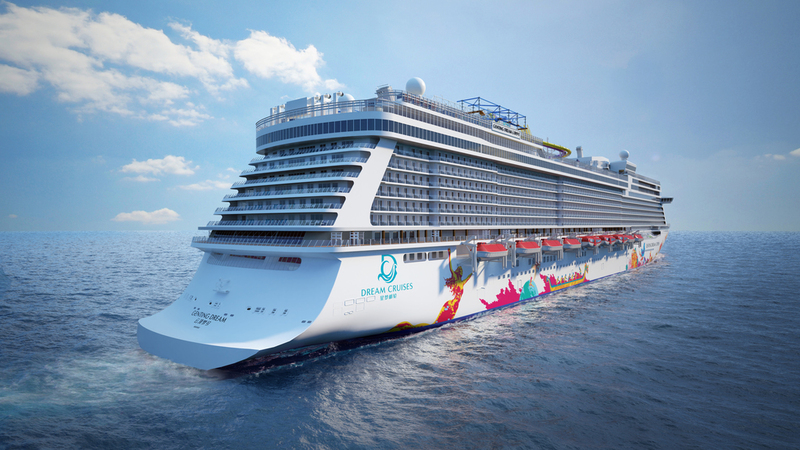 The pair of state-of-the-art submersibles on Genting Dream are designed to carry one pilot and four guests and cruise at three knots while underwater. Step into one of these and encounter a spectacular array of fish and other exotic marine critters! Boy, how I wish the media tour had included a ride in one of these! Keep Your Little Ones Occupied at The Little Pandas Club! What a cute name, no? The Little Pandas Club (above) on Genting Dream is a venue for children aged from two to twelve. Little ones can try their hand at arts and crafts, play dress-up with themed costumes, watch a G-rated animated film, or just play with an assortment of toys! The Little Pandas Club is also available for hire should you want to throw a birthday party for junior while on vacation. A birthday party at sea – how cool is that? If you’d like to enjoy some alone time with your spouse by having a romantic candlelight dinner at one of the 35 restaurants the Genting Dream offers, you can use the in-stateroom babysitting service. Rest assured, your child will be in good hands as all staff at the Little Pandas Club are certified childcare professionals. Since there are babysitting services onboard, how about letting your hair down at the first Zouk at sea, mum and dad? The high energy nightclub is a sports bar during the day with a glow-in-the-dark four-lane bowling alley and pool tables (above).You definitely deserve some down time during your much anticipated year-end holiday! The Genting Dream is now bound for her dual homeport of Hong Kong and Guangzhou to prepare for her official maiden voyage on 13 November 2016. Find out more here. 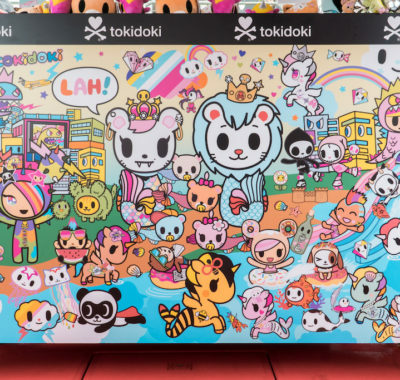 Sail Away with the World’s First & Only Tokidoki River Cruise in Singapore!